Alternative transportation advocates often encourage people to ride bicycles if they can, but that community is facing a big challenge. Women only account for a quarter of bike trips in the United States. Brenda McDuffie was not born in Buffalo, but she has spent her professional career making the city a better place to live. She retains no Brooklyn-born accent, but the public housing she grew up in remains her inspiration to tiredlessly help disadvantaged residents gain the diverse quality-of-life skills needed to provide for themselves and their families. McDuffie chairs the Erie County Industrial Development Agency, is a member of the Greater Buffalo Racial Equity Roundtable and, this year, celebrates 20 years as President and CEO of the Buffalo Urban League. Dr. Janet Sung arrived in the United States in 1972 with only her CPA husband John and the $200 their native South Korea allowed its emigrants at the time. Fifteen years later, the couple opened their own radiology practice in a renovated Pizza Hut with pink doors in Cheektowaga. 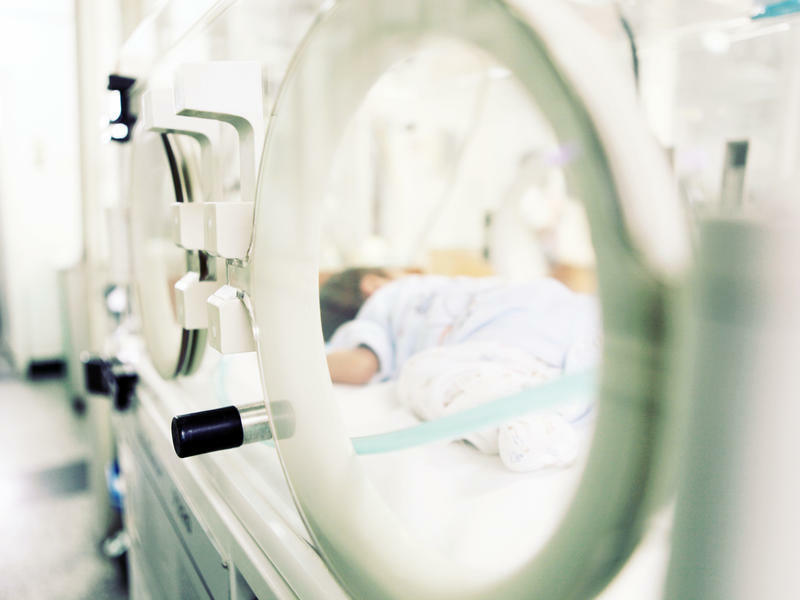 She was the only doctor and had only one x-ray, one mammogram and one ultrasound machine. Little did she know, in 2002 the Erie County Legislature would honor the business, then known as Windsong Radiology, as the largest free-standing diagnostic imaging center in the United States - and it has continued to grow, now serving more than 400,000 visits annually at five locations across Western New York. Kathleen Garvey, 67, has reinvented herself several times. She began her career as a registered nurse, then taught nursing in Houston and at D'Youville College in Buffalo. At the end of the Vietnam War, she used those nursing skills in the U.S. Army Reserves, then on active duty and again in the reserves, eventually obtaining the rank of Lieutenant Colonel. However, after two decades of military service, it was time to reinvent herself again. Garvey graduated law school and worked on Medicare appeals and the Erie County Medical Malpractice Reform Model. Most recently, she began her own elder law practice, but continues to volunteer with veteran organizations. Patti Jones has considered herself a typical female since she was a very young boy named Peter. She earned her degree in Mechanical Engineering from Rochester Institute of Technology, joined the family machine and tool design company, taught skiing and snowboarding, raced sailboats, was "happily married to a wonderful woman" for 24 years and had a daughter. It was at the age of 50 - in 2004 - she formally transitioned and has since been dedicated to Western New York's LGBTQ communities as an activist and mentor. Jones shared her journey with WBFO. The New York State Health Department has launched a campaign to raise awareness around addiction treatment services available to pregnant women. The health department wants women to know “it's OK to ask for help” and that their doctors can help treat addiction. Leslie Zemsky has perhaps the best job title in Western New York. As Director of Fun (and Vice President) of her family-run Larkin Development Group, she is helping infuse "whimsy amongst the warehouses" of what was Buffalo's first business district. A lifelong philanthropist dedicated to numerous nonprofit causes and board memberships, Zemsky began a creative new adventure in 2002 when the family sold its Russer Foods and bought the Larkin Terminal Warehouse at 726 Exchange St. Since then, the area has blossomed into a vibrant community hub powered by her altruistic energy, called Larkinville. Down in the Valley is Margaret "Peg" Overdorf. Hang your head over the Michigan Avenue Lift Bridge and you can hear her wind blow. This year, Overdorf is celebrating 40 years as Executive Director of the Valley Community Association, from which has bloomed a renewal along the Ohio Street Corridor to the Buffalo River. You may not recognize their names, but the VCA, Overdorf and her close-knit army of volunteers are leaving their mark on our region, serving families and turning former polluted dumping grounds into waterfront destinations. During the housing crisis a decade ago, an estimated one-third of civil filings in New York State Supreme Court were foreclosures. "It was huge numbers," remembers the Hon. Paula Feroleto, "so the court had to adapt how cases were treated." Today issues like the opioids crisis, jailing people with mental illness and Buffalo's influx of refugees are requiring new thinking. As Administrative Judge of the Eighth Judicial District, Feroleto's role is to supervise all 95 judges and 850 employees in Western New York's 22 courts while preserving justice for all. Few Western New Yorkers have led a hospital and fewer have been women. Then there is Sheila Kee. She has led three local hospitals, the Community Health Association of New York State and the Western Region for the state Health Department. Since September 2008, she has served as Vice President and Chief Operating Officer at Niagara Falls Memorial Medical Center, where her imprint can be found on many transformational initiatives. However, her career sprung from one of the most important periods in American politics. Ellen E. Grant is a fellow at the Weiss Institute, an initiative of Say Yes to Education that marshals best practices and the latest research to address inequities and boost economic development by supporting young people from early childhood to adult success. It is the latest of many leadership hats worn by this savvy woman over 60, who grew up in Buffalo's public housing to become a nurse, a social worker, a licensed therapist, an executive coach, a college instructor, Director of Cornerstone Manor, Vice President at BlueCross/BlueShield of Western New York, President and CEO of Niagara Falls Memorial Medical Center, Erie County Commissioner of Mental Health and City of Buffalo Deputy Mayor. Althea Luehrsen has been CEO of Leadership Buffalo since January 2012 and is Co-founder and Vice Chair of Women Who Lead WNY. Through service, diversity, inclusion and openness to change, she believes giving back to her community is key to the success of the region. She does this every day, not only by freely sharing her 40 years of work experience, but through numerous board memberships and nonprofit causes. No wonder her career is full of accolades and her mantelpiece with awards. On this first day of March, WBFO is beginning a celebration of Women's History Month with a feature series we are calling "Savvy Over 60." JoAnn Falletta took home another trophy at Sunday's 61st Grammy Awards. The longtime music director of the Buffalo Philharmonic Orchestra earned the third Grammy of her career for a recording with the London Symphony Orchestra. An award-winning local photographer has created a new exhibit called Through The Lens: “Warriors" now on display at CEPA Gallery in downtown Buffalo. WBFO's senior reporter Eileen Buckely sat down with Aitina Fareed-Cooke, the owner & creative director of Get Fokus'd Productions, who selected eight stories about people who beat the odds, just as she did. WBFO's senior reporter sat down with Aitina Fareed-Cooke, Owner & Creative Director of Get Fokus'd Productions. A SUNY Fredonia student started an initiative to provide free sanitary products to students on campus. WBFO's senior reporter Eileen Buckley says the program is called FREDFlo. WBFO's senior reporter Eileen Buckley says the program is called FREDFlo. Entrepreneurship among seniors is trending in the United States and research shows that people 50 and older are opting to turn a business idea into a rewarding and profit-making retirement plan. WBFO's Older Adults News Desk Reporter Sandy White has this story. The New York State Legislature voted Tuesday to codify the abortion rights in the U.S. Supreme Court decision Roe v. Wade into New York law. Gov. Andrew Cuomo signed the measure immediately after the vote. "Women Empowered: Fashions From the Frontline," is an exhibit at Cornell University chronicling the ways women have used fashion throughout history to collectively uplift themselves. Denise Green is a faculty member in the fiber science and apparel design department in the College of Human Ecology at Cornell University. She says the "Women Empowered" exhibit is the result of a semester’s worth of work between her and a group of students. More and more women in New York are picking up rifles for the first time, joining a growing population of female hunters. 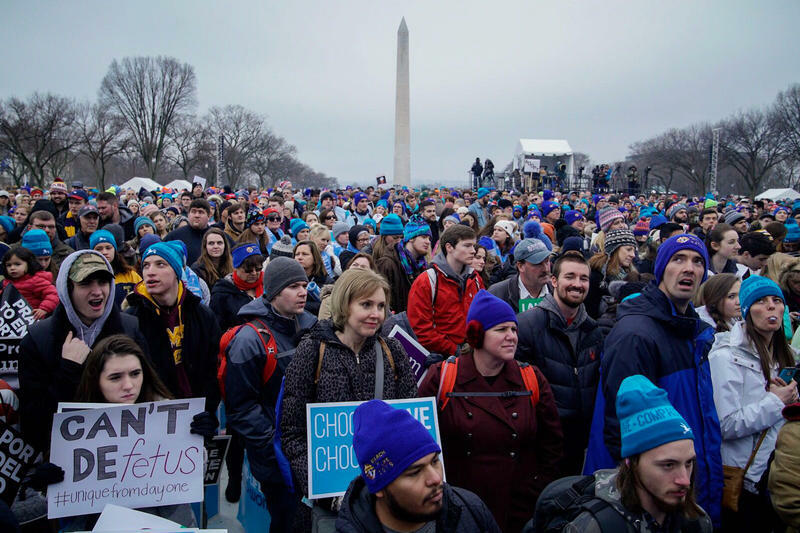 Western New Yorkers are among those in Washington, D.C. who have traveled there to participate in the March For Life, which is held every year on or around the anniversary of the Supreme Court decision which legalized abortion. Those attending from Western New York who identify themselves as "pro-life" say there is much more to that term than the abortion issue and they include that in their message. Acknowledging they will be up against some harsh elements Sunday afternoon, participants in the third annual Women's March Buffalo/WNY vow to again share messages of unity and struggle, celebrating accomplishments such as more seats in elected offices but also pointing out the disparities they still face. It was a solemn Saturday evening as the congregation at Our Lady Help of Christians Parish in Cheektowaga observed the 46th anniversary of the Roe v. Wade decision. Photo from NYS Governor's office. The Cuomo Administration and state democratic lawmakers are calling for passage of the Reproductive Health Act. WBFO's senior reporter Eileen Buckley says former U.S. Secretary of State Hillary Clinton is joining the effort as they seek passage in the first 30-days of the state legislative session. WBFO's senior reporter Eileen Buckley says former U.S. Secretary of State Hillary Clinton is joining the effort as they seek passage in the first 30-days of the state legislative session. About 10,000 Baby Boomers turn 65 every day. Many of them decide not to retire and some continue to work well into their 80s.